Our dedicated and passionate karate instructors take the time and effort to ensure each student has the attention he or she needs to master every technique taught in martial arts classes at Texas Association of Shotokan Karate. We focus on self-defense techniques that impart physical and mental skills for all ages. 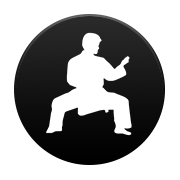 Association of Shotokan Karate is the only traditional Shotokan school in the Plano, Texas, area providing children and adult karate classes for today's modern culture. We have been studying this form of martial arts for more than 30 years, sharpening our minds, bodies, and character through the spirit, power and technique of Shotokan karate. Thank you for your interest. To schedule your 1st class, or for questions and comments, please complete the form or call either number listed below.